THE credibility of Zimbabwe’s general elections this year has been thrown into doubt after a South African-run ID systems firm hired to produce a new voters’ roll for the Zimbabwe Electoral Commission (Zec) recently took the electoral management body to court over alleged “impropriety” in the handling of tenders. The legal wrangle, which spilled to the Administrative Court last Thursday, has the potential of tarnishing the credibility of a poll meant to usher in a new era of transparency post-Robert Mugabe. A credible vote is key to the restoration of democratic legitimacy following a de facto coup in November that ousted Mugabe after 37 years at the helm. It is also crucial to unlocking badly needed financial aid and repairing relations with Western powers. President Emmerson Mnangagwa, 75, a one-time protégé of Mugabe, pledged last week that transparent elections would be held by July and that he would respect the result if the opposition wins. Laxton Group, whose production headquarters is in China, filed papers with the Administrative Court on Thursday questioning why it had lost out on a contract to “clean up” the list of registered voters. The company, whose directors are mostly South African, has been registering Zimbabwean voters since September in a United Nations-backed attempt to generate a “clean” list of voters as the basis for a credible election. But Zec held a separate tender for what is known as the “de-duplication” process – which ensures there is no double entry of voters or other aberrations – and awarded it to a rival bidder, Ipsidy. In its legal filing, Laxton accused Zec of manipulating costs presented in its bid for the de-duplication contract. 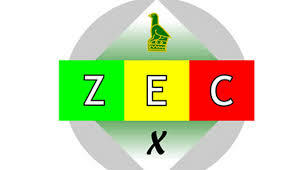 It also said Zec had given an inexplicably low weighting to Laxton’s favourable rating in a technical test. “It is submitted that the impropriety of (Zec’s) conduct in awarding the tender (to Ipsidy) … should be looked at within the context of the whole rationale of regulating public procurement,” Laxton said in the document. Zimbabwe’s previous elections have been marred by allegations of vote rigging, with manipulation of the register of voters frequently at the heart of the controversy. Zec acting chairperson, Emmanuel Magade was recently quoted as saying he had referred the matter to the Zimbabwe Anti-Corruption Commission for investigation. Magade took over from former Zec chairperson, Rita Makarau, who resigned in December. Laxton argues it is best-placed to run the de-duplication process because the registration data, including fingerprints of every voter, is loaded on its systems. In its legal filing, Laxton also said United States-listed Ipsidy was facing financial difficulties that could harm its ability to do the job properly. According to its 2016 annual report, Ipsidy has consistently run at a loss, has accumulated debts of $49 million and needs additional finance. The firm is also expected to incur net losses for the “foreseeable future”, it added.